Who can explain the heart of man? 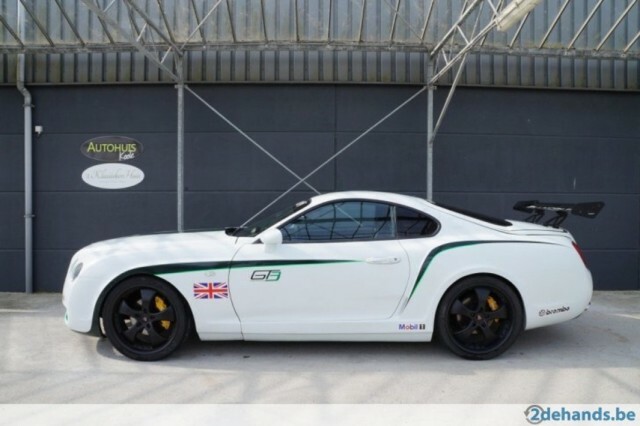 Specifically, who can explain the heart of a man that would, for some unfathomable reason, take a 1992 Toyota Supra and turn it into a replica of a Bentley Continental GT3-R? A right-hand-drive Supra was procured for this faux Bentley. Thankfully we’re not dealing with a rebodied Supra twin-turbo; instead, we have the naturally-aspirated variant and it’s backed up with an automatic gearbox. It’s not the greatest Supra out there, but it’s still a Supra. Or it was until someone decided to take a Japanese sports car icon and turn it into a close copy of a modern Bentley. The car resides in the Netherlands, and it’s currently up for sale. The asking price comes out to around $15,000 based on current exchange rates. That would be an amazing price for a real GT3-R and a good price for a very clean Supra. As it stands, it’s a terrible price for the horrible mash-up replica of the two.